LOS ANGELES (November 16, 2016) — MediaAlpha today announced it ranked 169 on Deloitte’s Technology Fast 500™, a ranking of the 500 fastest growing technology, media, telecommunications, life sciences and energy tech companies in North America. MediaAlpha grew 504% during a three-year period. This is the second year in a row that MediaAlpha has been recognized as a Deloitte Technology Fast 500™ award winner. MediaAlpha innovates at the intersection of programmatic technology and vertical search, bringing transparency and efficiency to both buyers and sellers. Its platform empowers advertisers to more effectively engage high-intent consumers through a variety of touchpoints to increase reach and improve campaign ROI. Publishers gain granular control over their inventory to optimize yield and maximize total revenue. The company’s proprietary technology powers over 25 million annual transactions totaling more than $200 million in annual transaction volume across insurance, travel, personal finance, education, and the home services sectors. 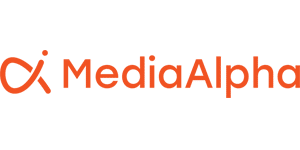 For more information, visit www.mediaalpha.com.